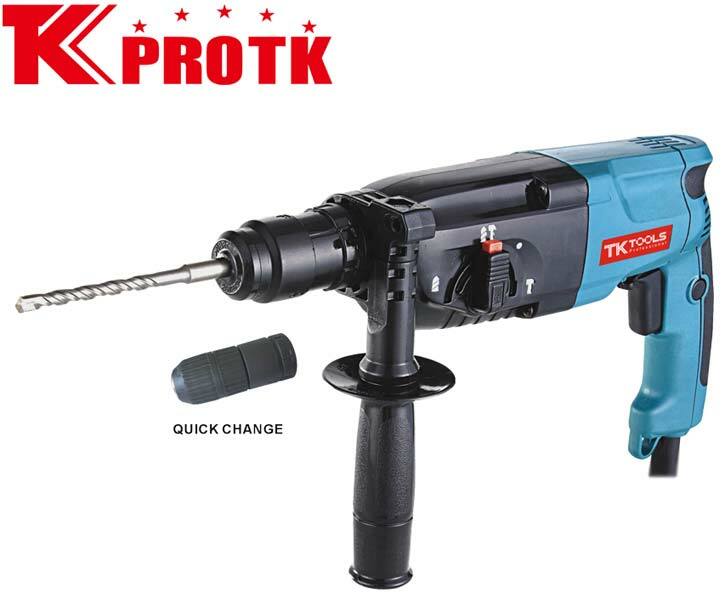 Operating from Yongkang, China, we are the proficient manufacturer, supplier and exporter of Rotary Hammer (Z1A-2414DFR). Certified by RoHs, CE and GS, the net weight of this rotary hammer is about 2.3 Kg. The no load speed of this model is 0-1100r/min and the rated power input is 780W, The maximum hole opening is 24mm and the impact times is 0-4500r/min. We offer the rotary hammer at the best prices in customizable packaging options. ACC 6,8,10MM Drill bits,1flat chisel&1point chisel with changeable chuck,color sleeve,BMC packing.